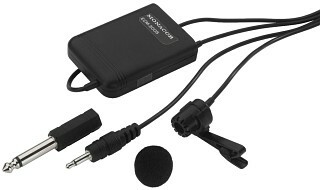 This microphone is designed for presentations and discussions. 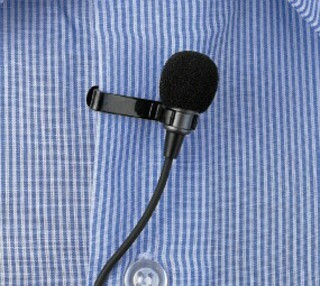 It ensures good audibility, allows for a secure fit due to the supplied tie clip and is quickly attached. 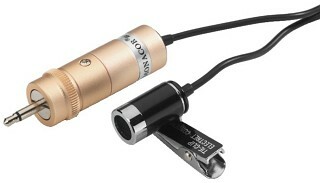 The cartridge design of cardioid characteristic allows to pick up a precise voice of high quality over a wide dynamic range. 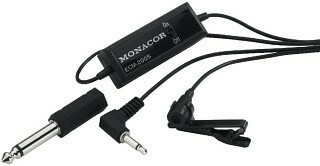 Supplied with windshield. 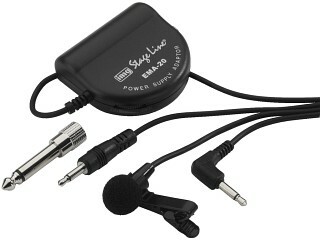 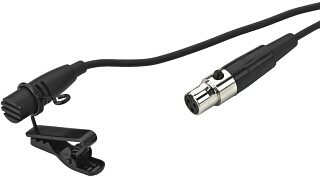 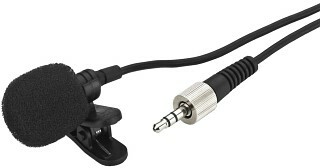 Enlarge Electret tie clip microphone, with power supply adapter. 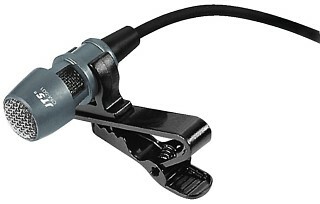 Enlarge Electret tie clip microphone, miniature version. 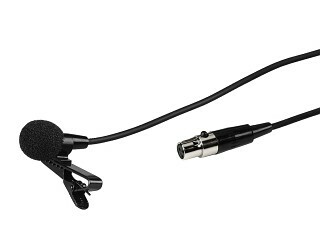 Matching replacement microphone windshield WS-20 is available at option.